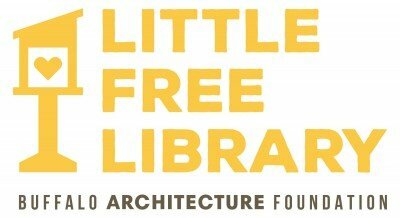 The Buffalo Architecture Foundation's 2017 Little Free Library® Design Competition is an Open, Two-stage, Design Competition to design, construct, and install a contemporary book shelter in underprivileged neighborhoods in Buffalo, NY. Architects, designers, sculptors, carpenters, students, etc. interested in rethinking and fabricating a library as part of this project are invited to submit their qualifications and describe their interest in the project. A conceptual design and brief narrative description of how your concept addresses the points presented in the Competition Brief must accompany each application. Multiple designs concepts are allowed and will require multiple entries. A jury will select up to ten entrants to design and fabricate a library, hosted on public property or in the domain of a partnering community organization. Once installed, all libraries will be stocked by the Buffalo and Erie County Public Library system. Each entry should speak to the goals of the Literacy–friendly neighborhood in an urban setting while simultaneously addressing the basic demands of an outdoor enclosure and providing a form that breaks the mold of what has been deemed typical for a Little Free Library. Creative and innovative designs are encouraged.